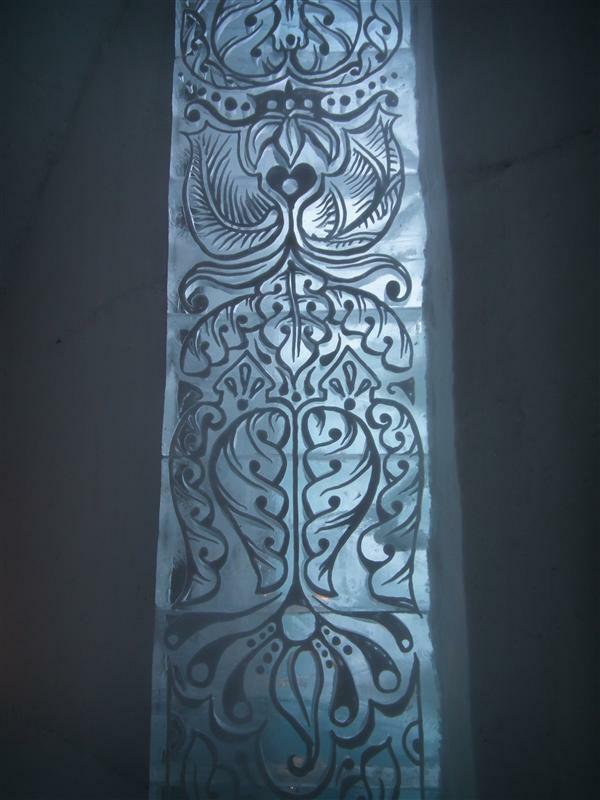 I’m pretty sick of this winter weather and snow, and I can imagine most people out there are feeling the same… especially if you’re a New Haven Line rider. 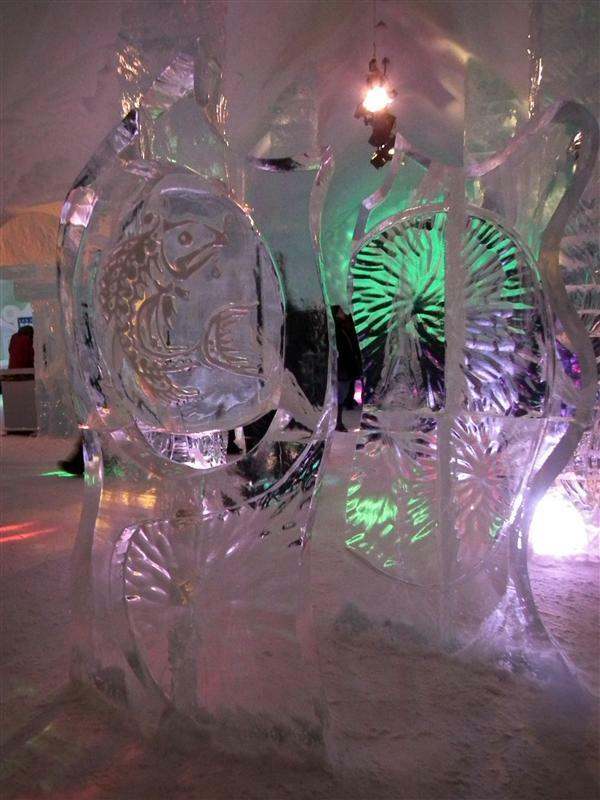 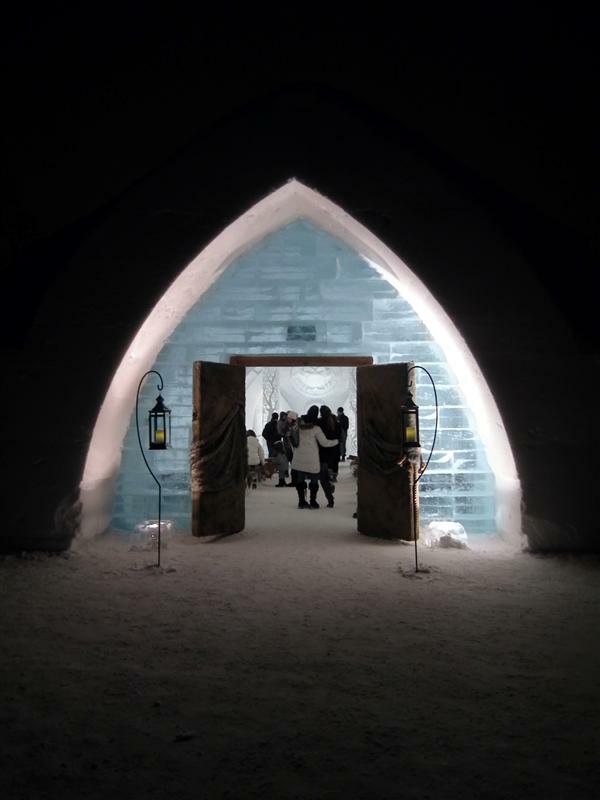 Knowing that, even I have no clue why exactly I thought it would be intriguing to head up to Canada for a night in an ice hotel, and to partake in the festivities of Quebec’s Winter Carnival. 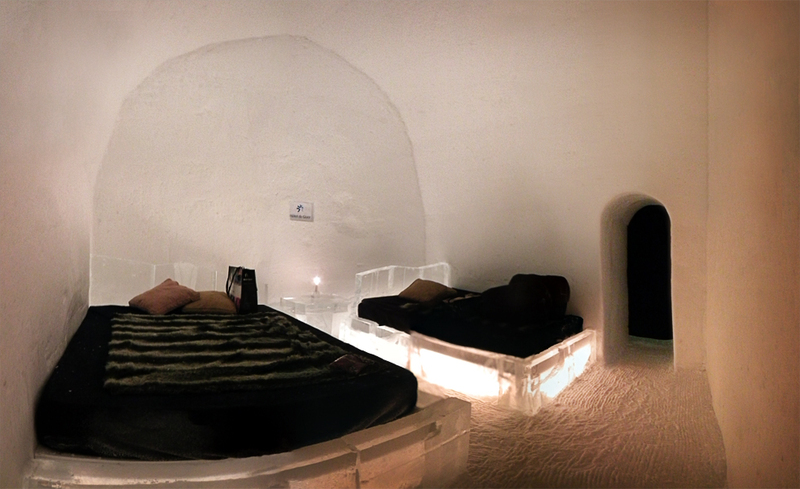 I can assure you that my strange desire to sleep outside in the winter, in essentially an igloo, has been satisfied. 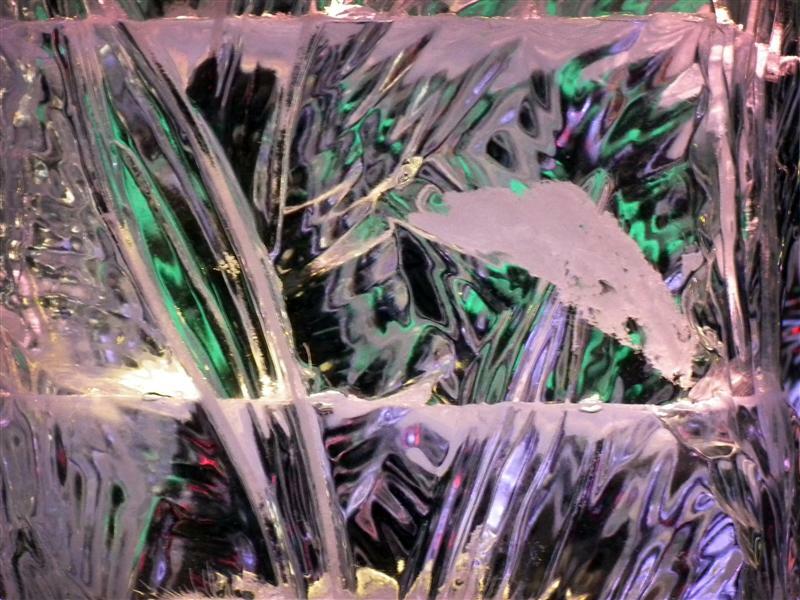 For the rest of my life I will probably cling to my most favored possession – my electric blanket. 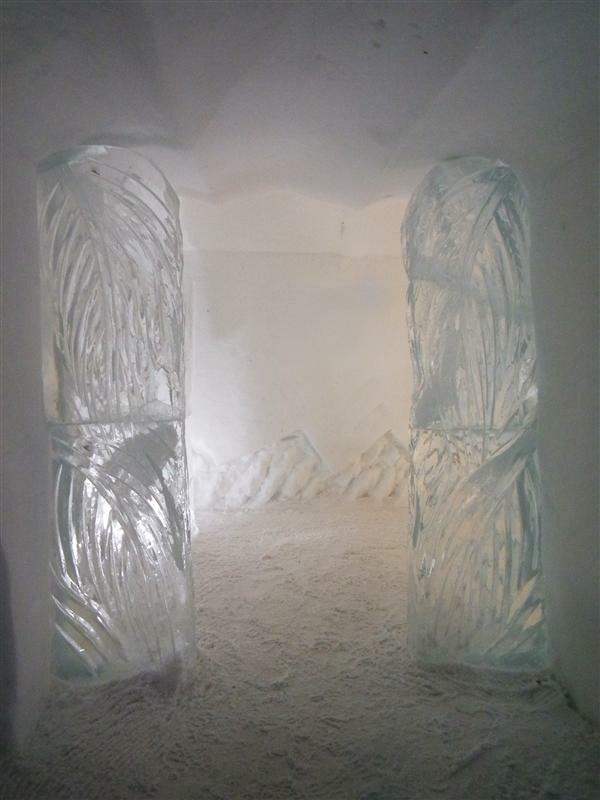 But survive the winter’s cold I did, though I will admit I did have the assistance of some heat packs and hand warmers. 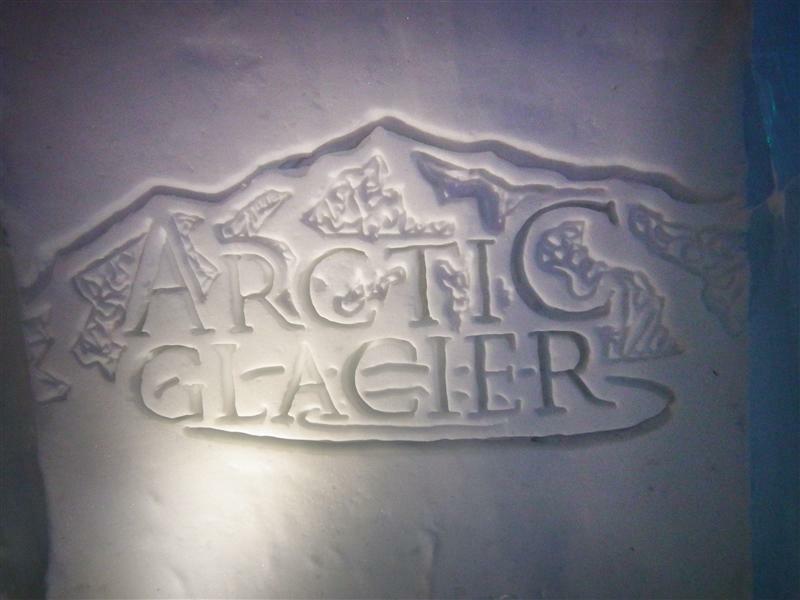 Despite the cold I participated in quite an array of wintertime activities, from ice and snow slides, to browsing a few galleries of snow sculptures, and even a little dogsledding. 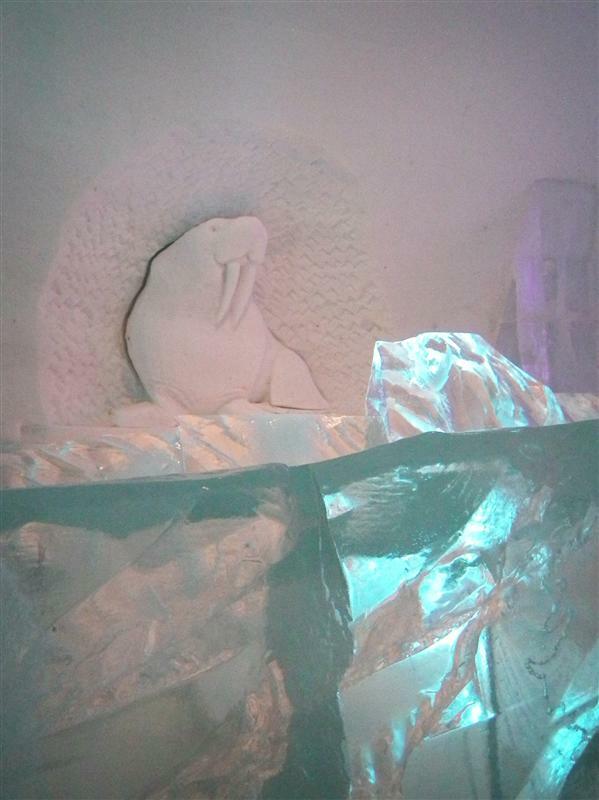 Though not train related, I thought it would be cool to post up some pictures from the anchor attraction of my trip – the ice hotel. 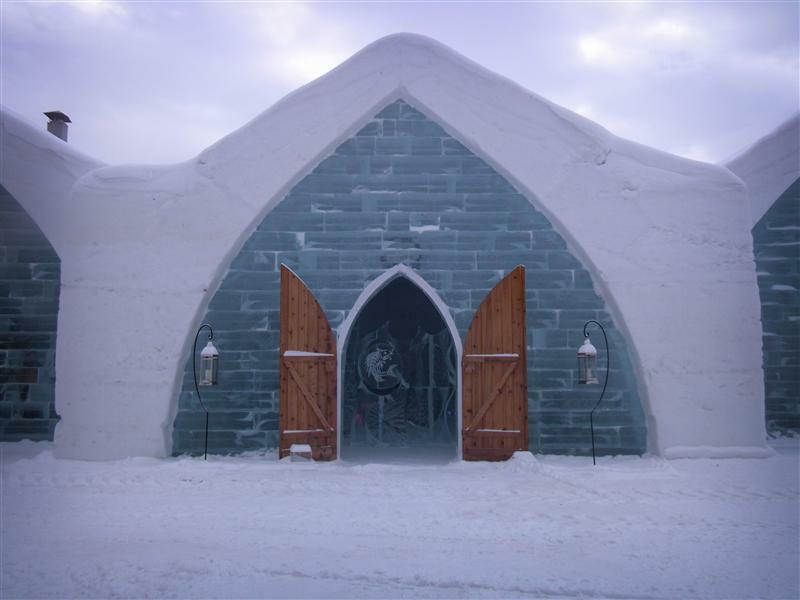 Typical of me, however, I did visit Quebec’s train station, called the Gare du Palais, and I’ll also be posting photos of it soon. 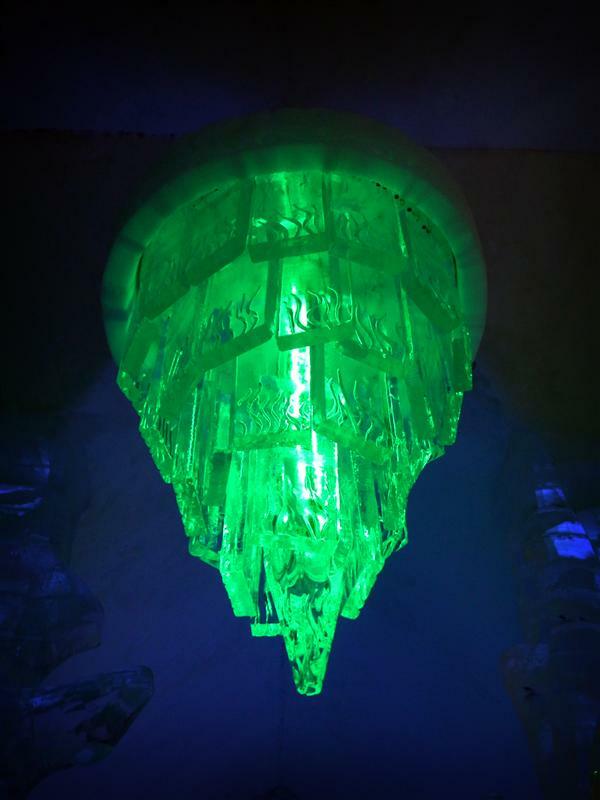 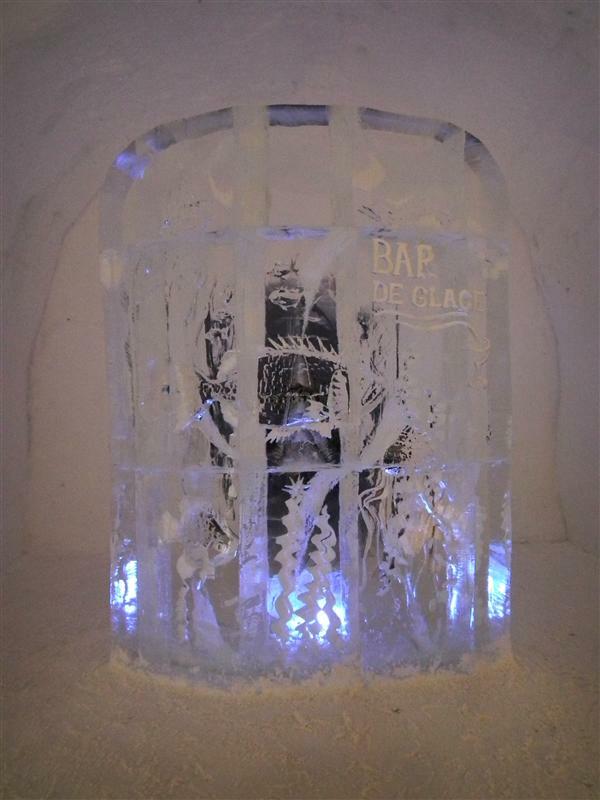 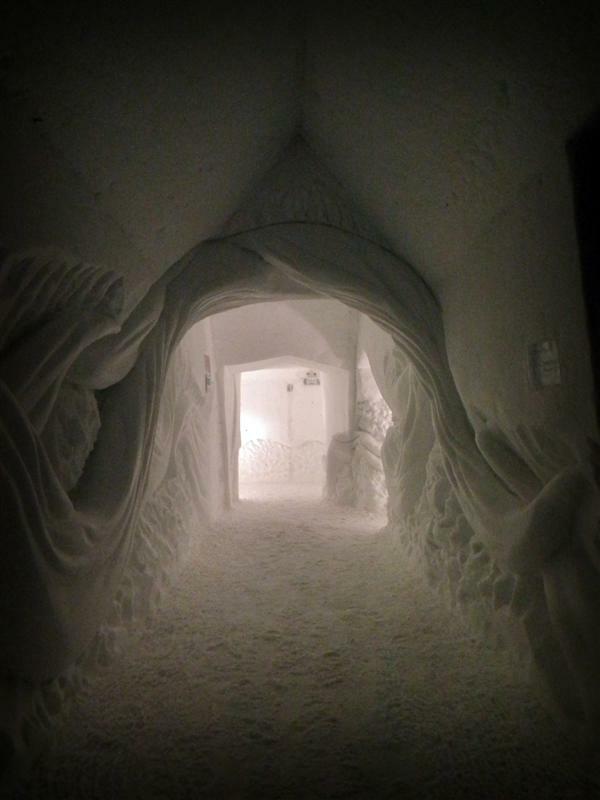 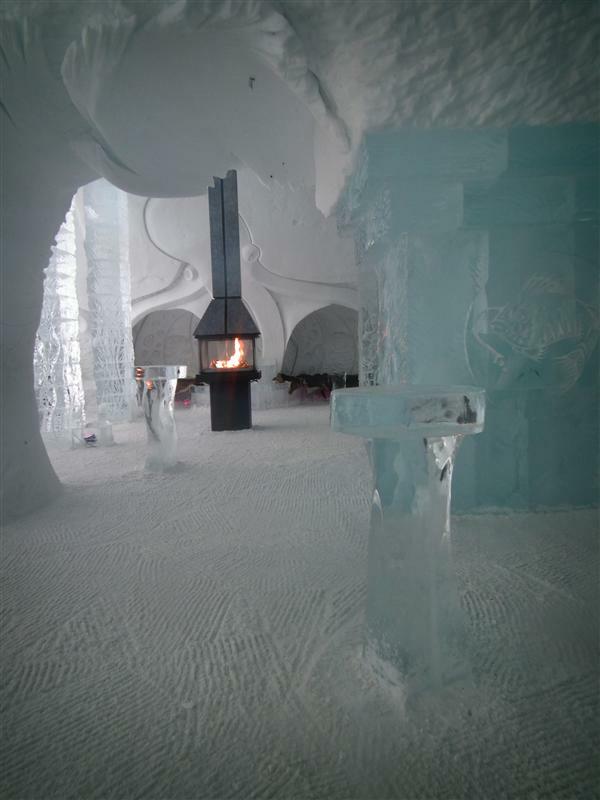 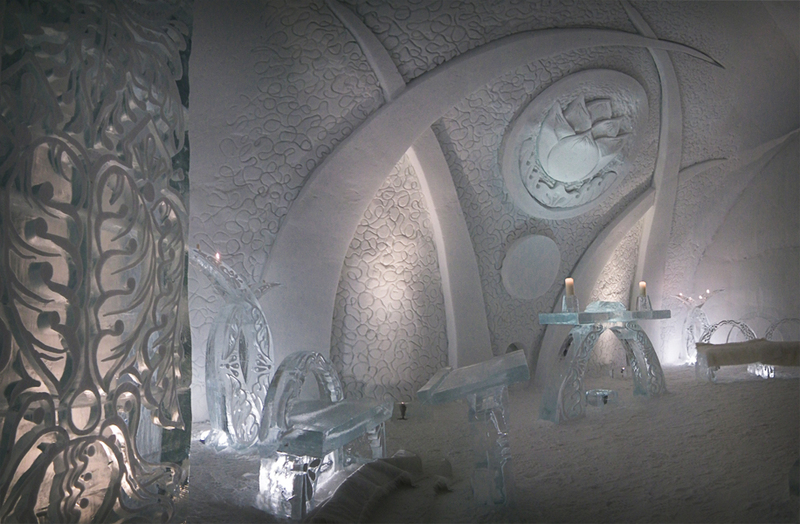 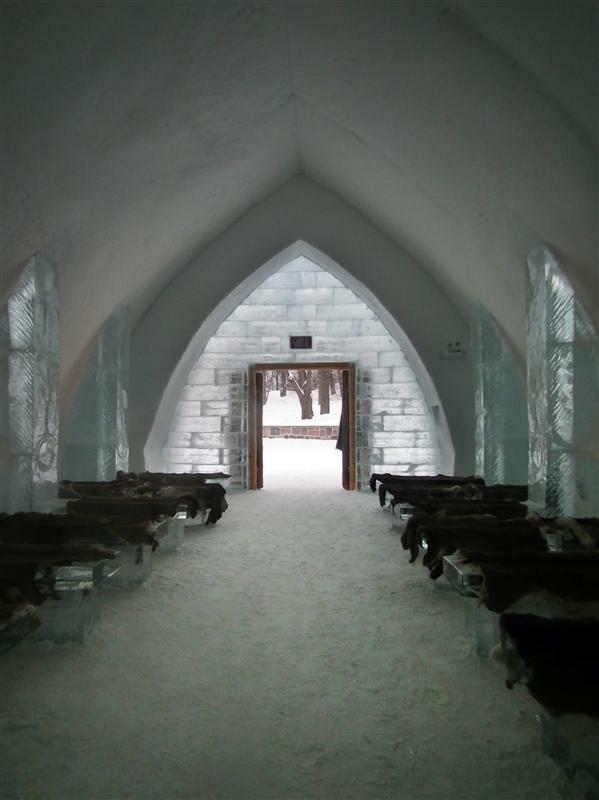 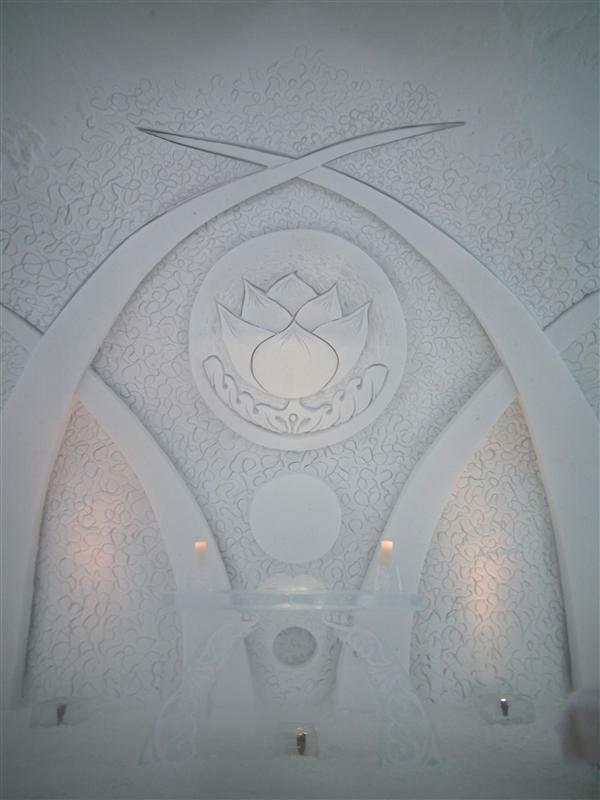 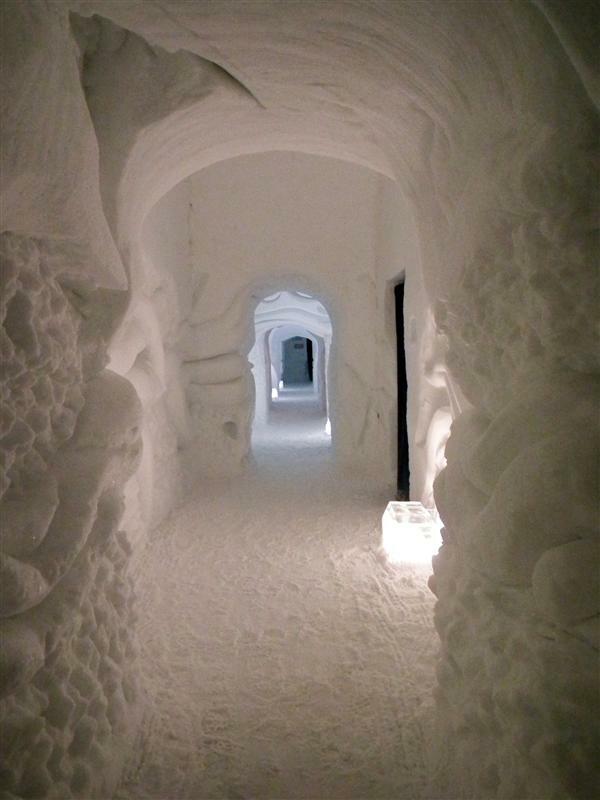 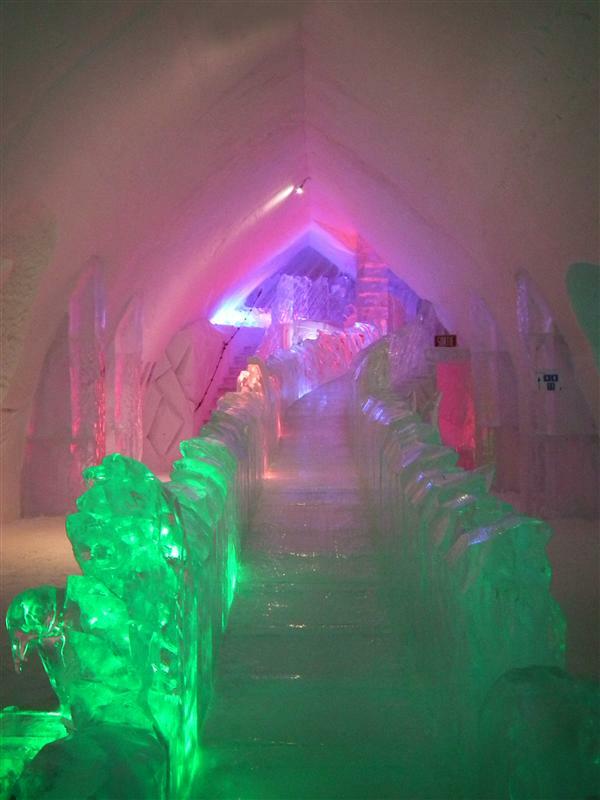 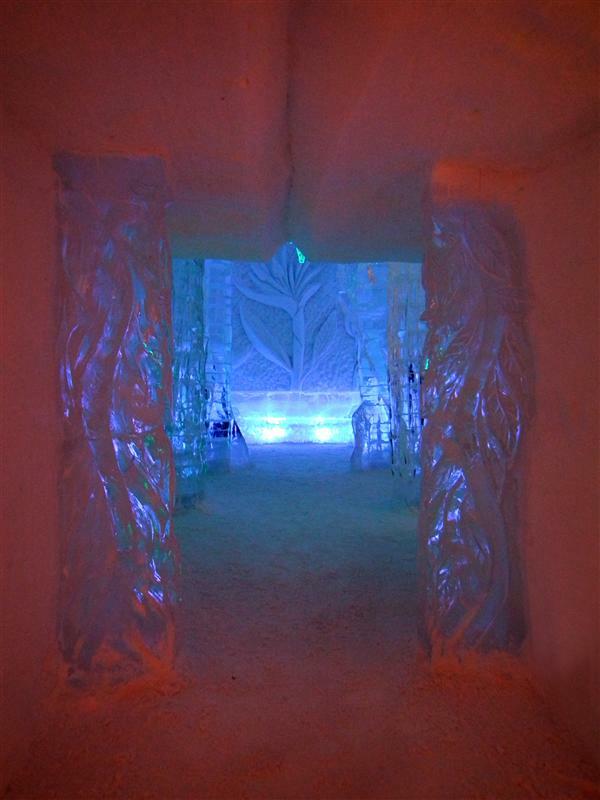 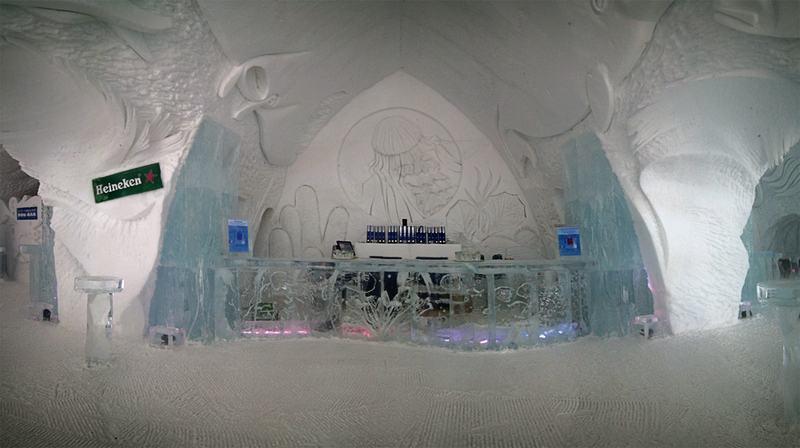 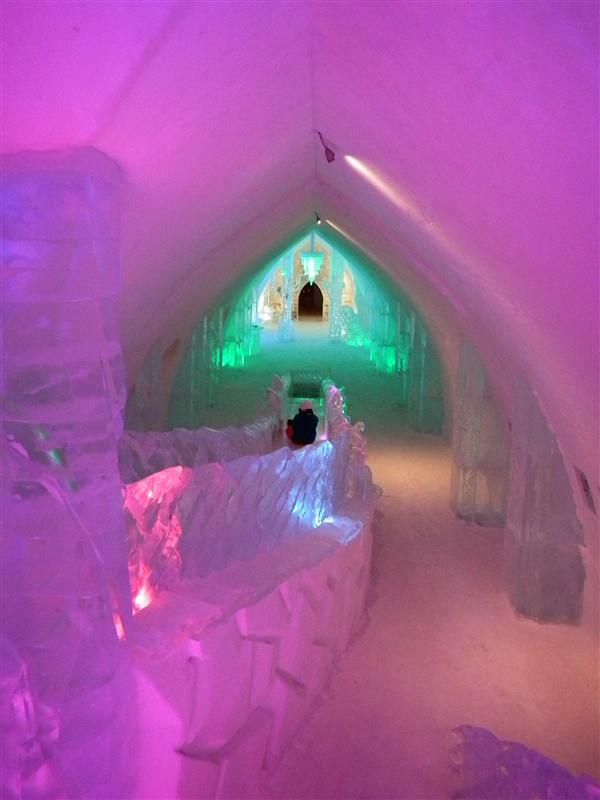 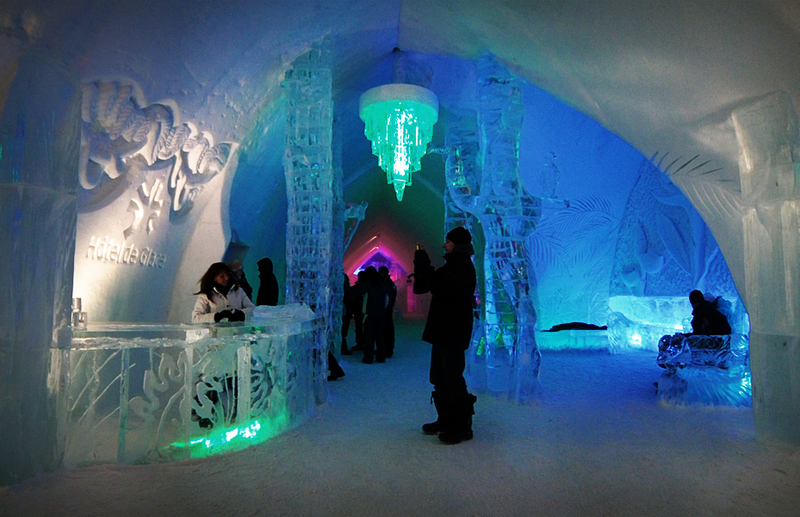 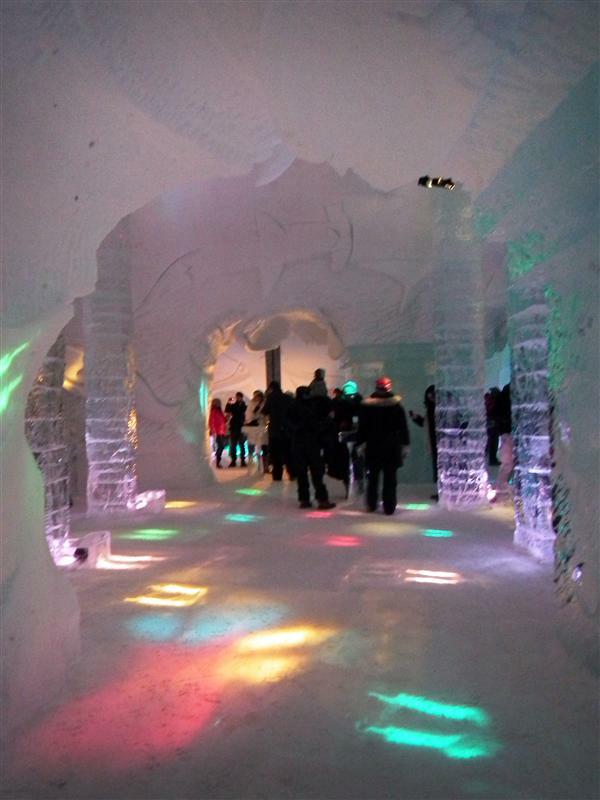 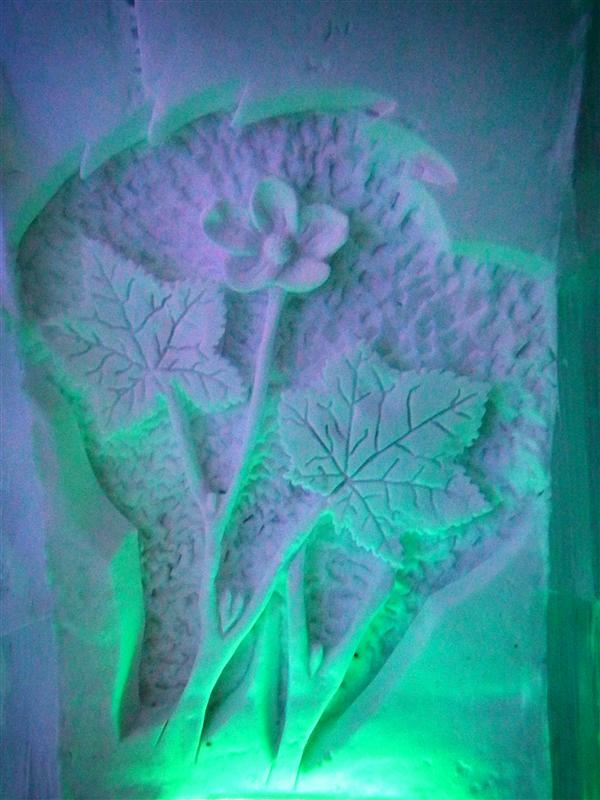 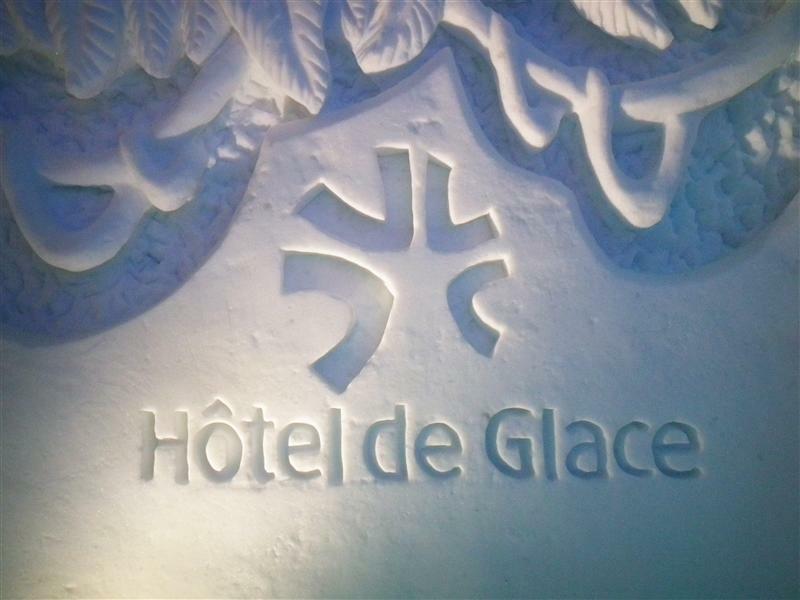 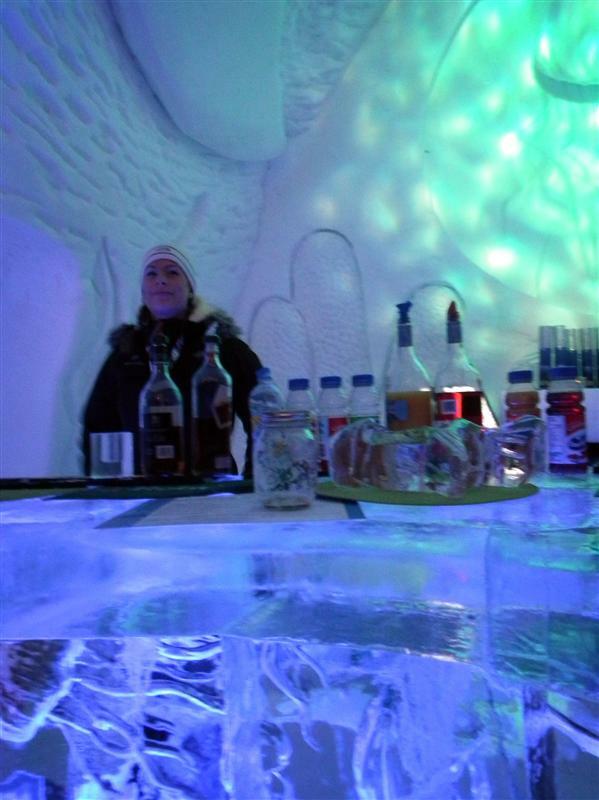 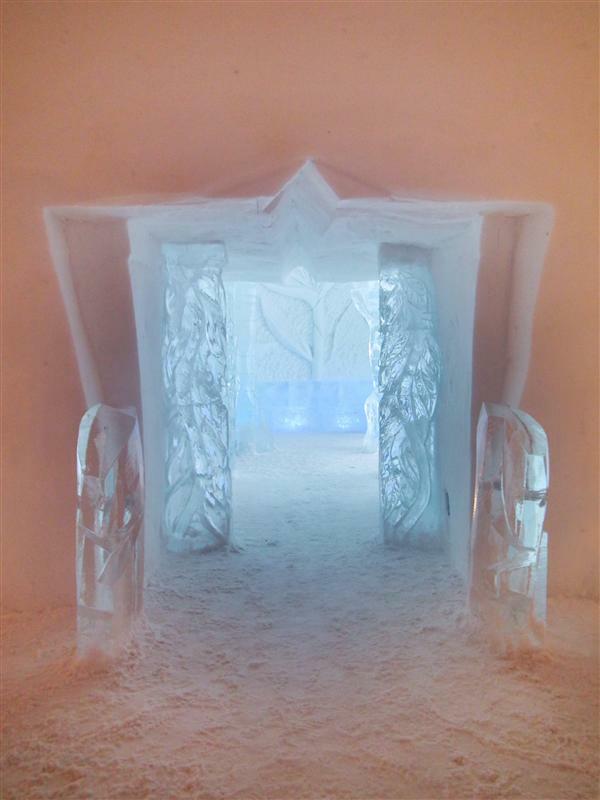 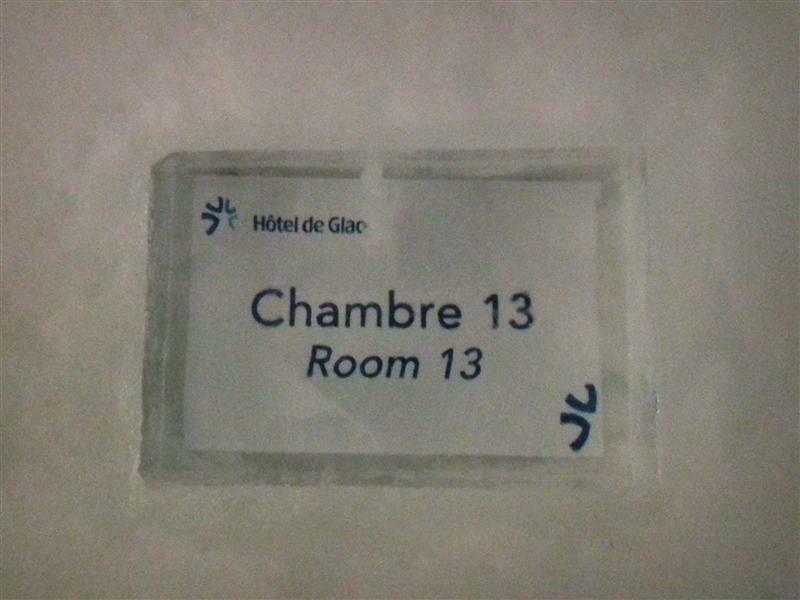 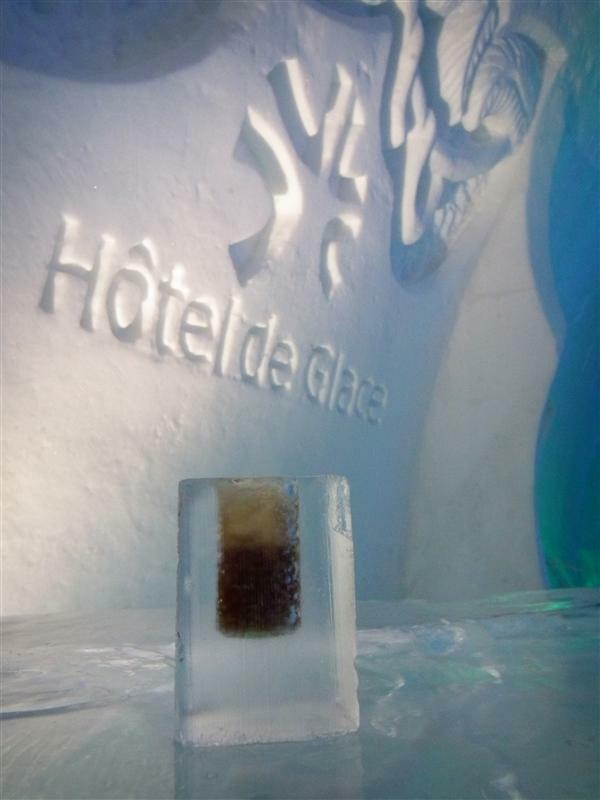 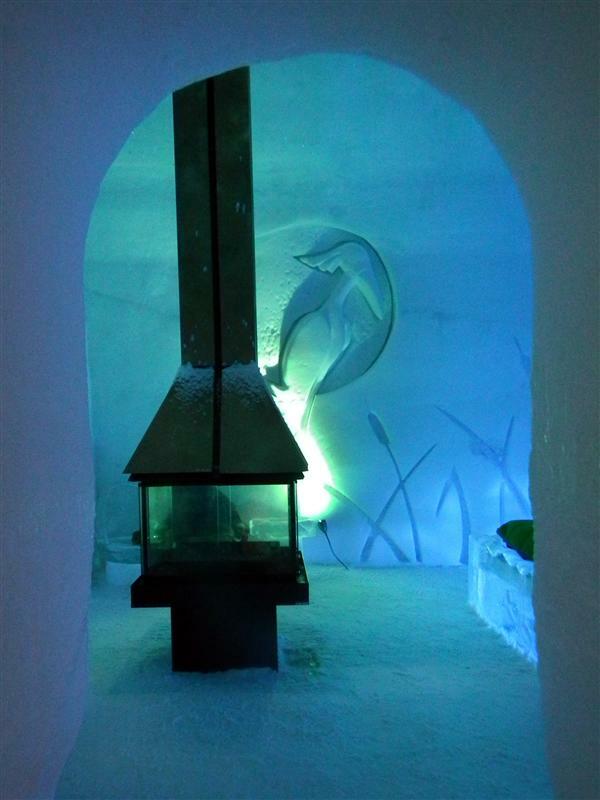 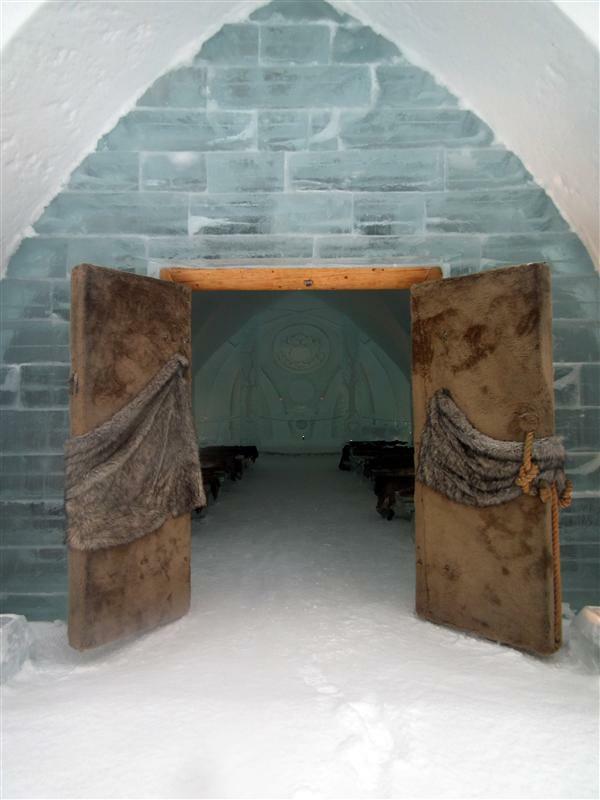 The Hôtel de Glace is made entirely of snow and ice, has 32 guest rooms, as well as an ice bar, and ice chapel, and an entrance room with an ice slide. 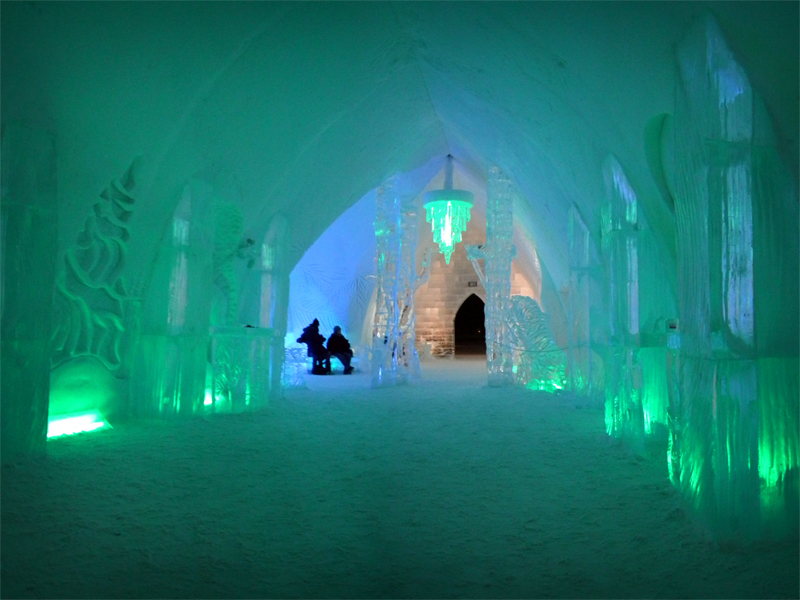 In the evening everything is illuminated with colored lights, and it is absolutely gorgeous. 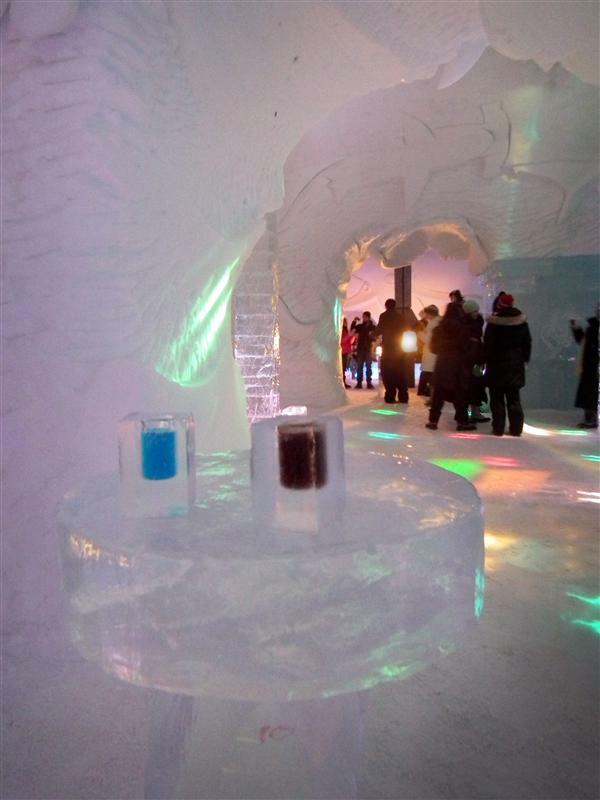 Upon my arrival the ice bar was filled with folks drinking out of cubed glasses made completely of ice. 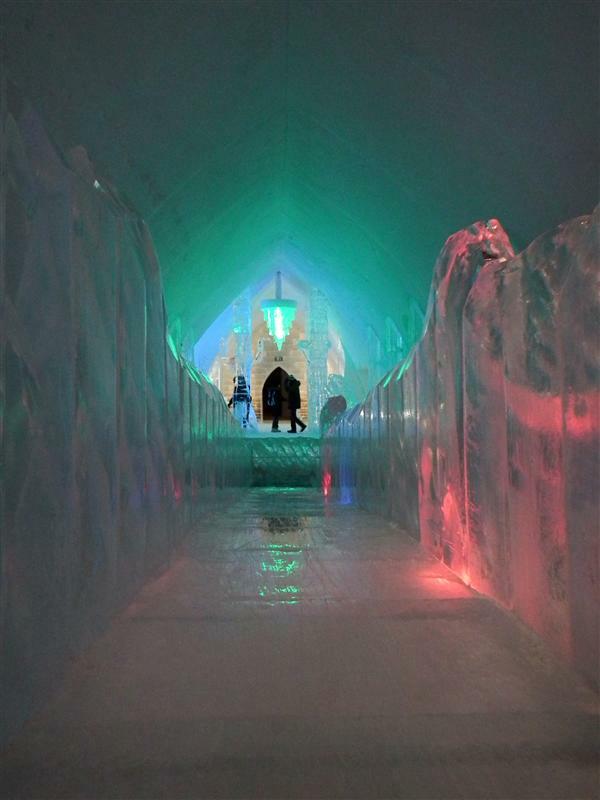 I was rather cold much of the time, but it was quite the intriguing, and beautiful adventure. 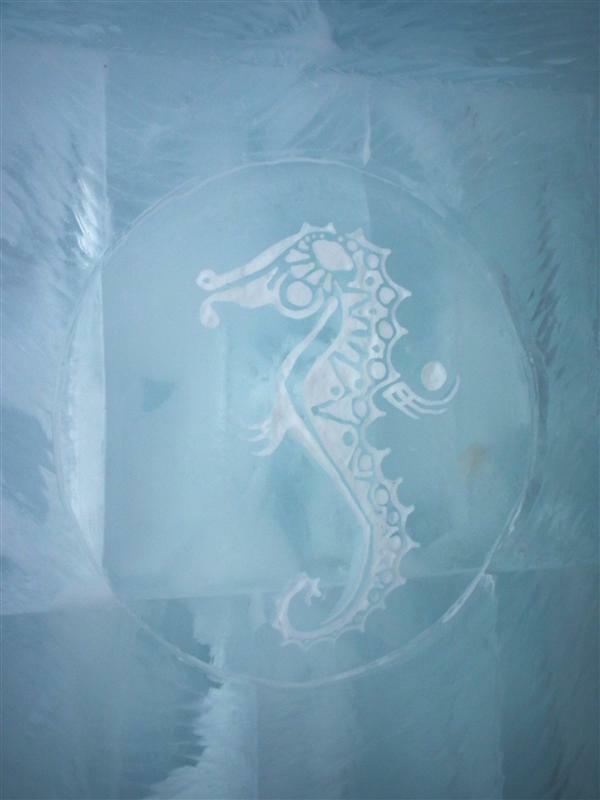 In other news, right about now I am totally ready for summertime.